There are various tax savings options available out there under section 80C of the Income Tax Act, equity-linked savings schemes (ELSS) have emerged as one of the most popular options. ELSS is a tax-saving mutual fund with a three-year lock-in period, where investments are made in equity-related instruments. For long-term investors, choosing ELSS over other 80C products like PPF and NSC is more beneficial from a wealth creation perspective. As said before, your investments in ELSS are eligible for a tax deduction of up to Rs 1.5 lakh from your gross total income under Section 80C of the Income Tax Act. Though you can avail a maximum tax deduction of only Rs 1.5 lakh under the section, there is no limit on the amount you can invest in these schemes. All tax saving investments typically comes with a mandatory lock-in period. For example, PPF comes with a 15-year lock-in period. Tax-saving term deposits have a lock-in period of five years. ELSS comes with a lock-in period of three years. Though ELSSs come with a lock-in period of three years, invest in ELSSs with an investment horizon of at least five years in mind. This is just to be on a safe side as ELSS invests predominantly in stocks. And stocks are risky and volatile in the short term. Most tax-saving investments such as PPF, tax-saving term deposit, among others, come with a maturity date. The PPF account matures in fifteen years and it can be renewed for another five years. An ELSS has no such fixed maturity date or period. You can continue to hold on to your ELSS investments as long as you wish. If you are traditional investors who predominantly invest in tradition investments that come with assured returns, you should consider investing in ELSS to take a small exposure to equity. 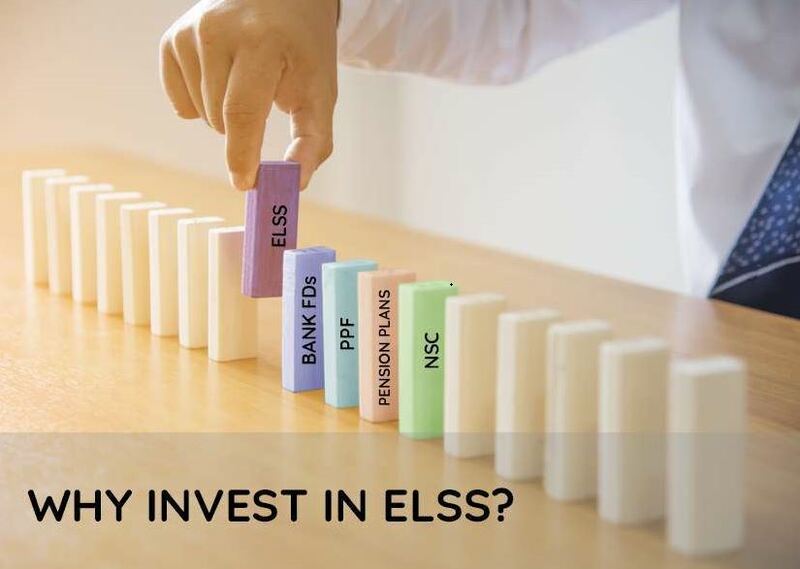 ELSS is considered ideal for first-time investors to enter the stock market. The mandatory lock-in period would help investors to weather the volatility typically associated with the stock market. In fact, you can devote your investments in ELSS for a specific long-term financial goal. ELSSs, or any equity mutual funds, for that matter, will not offer tax-free returns any more. Long-term capital gains made from ELSSs would be taxed at flat 10 per cent because of the re-introduction of LTCG tax on long term capital gains of over Rs 1 lakh on equity schemes. However, even after the new 10 per cent tax, ELSS would provide better post-tax returns than other traditional tax-saving investments like PPF, NSC, five-year FD, etc. over a long period.